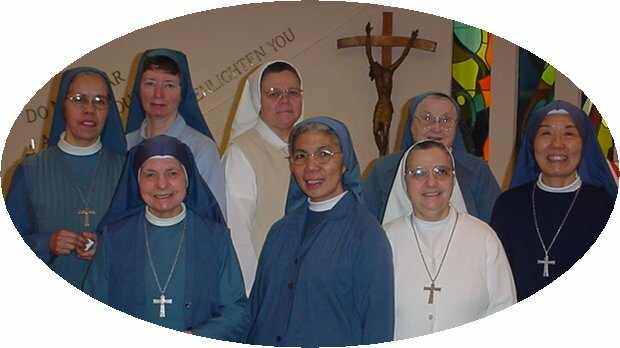 We are a congregation of women religious and a branch of the Pauline Family (10 different congregations), founded in the spirit of St. Paul in 1924 by Blessed Fr. James Alberione, a master of the spiritual life, and an apostle of the Media of Communications. 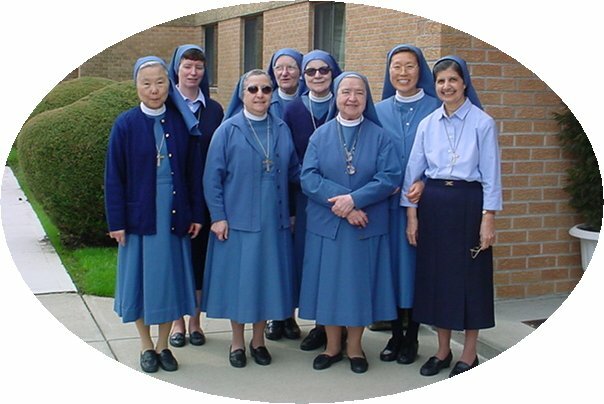 Women for today's world, we are called by God to follow Jesus the Divine Master who is the Way, the Truth and the Life. Our life of contemplation flows into action: we are women who want to be like Jesus who went to the mountain top to pray, then came down to work for the Kingdom of God. Another gospel image of our spirituality is that of Martha and Mary which gives priority to listening to the words of the Master Jesus and this attitude of listening prolongs in service the love with which Jesus has loved us to the end. From our contemplative life flows the variety of activity of our apostolic work. 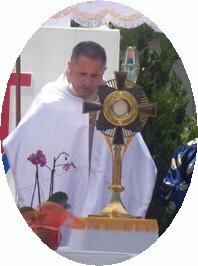 The principal activity of the Sister Disciple is the Eucharistic Adoration; it has ecclesial and social dimensions because we bring to Jesus in the Eucharist all the needs of humanity, its joys, fears and sins. This prayerful activity is especially directed towards those who work with the mass media that the Gospel message may reach out to all. We have a specific role in the Liturgy, which is the source and culmination of all the life of Christ. To help the laity become more aware of the Liturgical Life, and to participate actively in it, we work at the levels of formation, animation and catechesis, music and intensive work in the various forms of art: sculpture, pottery, design, embroidery, etc. 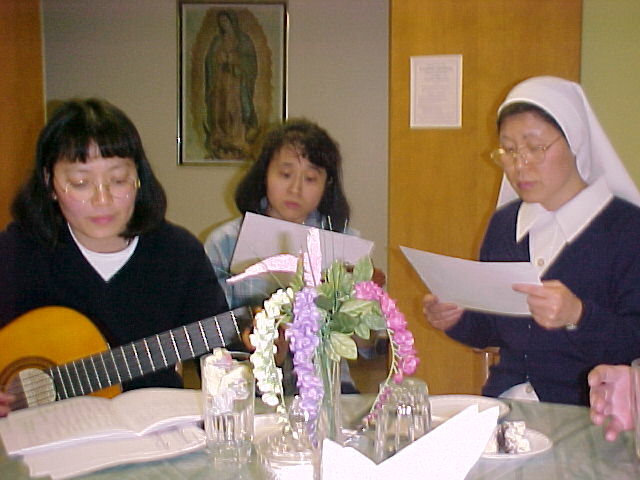 Anh, Dieu, and Sr. Emmanuel are singing a Vietnamese song "A Gift of Love"
Jesus, contemplated as living in the Priesthood, motivates us to collaborate closely with those called to the Priestly ministry, having as our model the Blessed Virgin who worked intimately alongside her Son. In answer to the growing needs of today, we pray for vocations, assist priests particularly in their pastoral and ministerial difficulties, in their illness and in old age. All our work flows from our union with God which is nourished by the celebration of the Eucharist and prolonged by adoration of the Blessed Sacrament. We bring all peoples to the Lord of life. Our one desire is to be living and active members of the Church in order to be witnesses of Jesus, the Divine Master, Way, Truth and Life.